Alabama Football looks good in 4k and 1080p but for old school Bama fans this 8 bit version will take you back in the day. There is no “Tostitos Tecmo Bowl.” It’s not sponsored by AT&T. The halftime show is not presented by AllState Insurance. For fans that grew up in the 80’s there’s no need to explain why watching the Top 5 Bama plays of All Time in original Nintendo 8 bit graphics is awesome. This paragraph isn’t for them. It’s for you – the dude who thinks the term “cordless phone” is redundant and has never felt the anxiety that comes with a girl’s dad answering after rotary dialing her last digit. 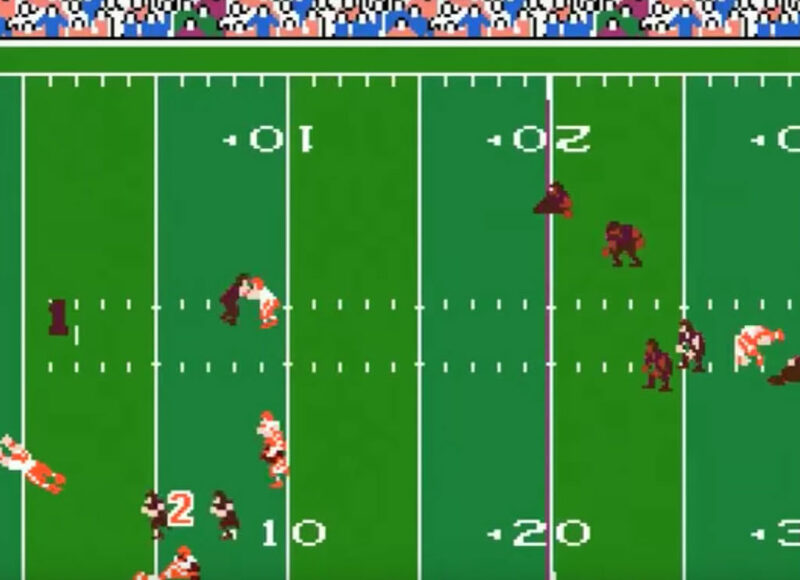 Tecmo Bowl was one of the first playable football video games ever. It may look archaic by today’s standards but prior to Nintendo putting this on the market the only options were paper football, Atari and metal football field games that vibrated more than Mia Khalifa’s carry on luggage. #4 circa 2015: Kenyan Drake’s electric 95-yard kick return for a touchdown in the 2015 national championship game against Clemson when Bama brought home a 16th national title. #1 circa 2005: Tyrone Prothro makes an Espy Award winning catch with Bama down by 2 scores with 30 seconds to go in the half behind the back of a Southern Miss defender in 2005.